belonging to the Confucian tradition, the Daoist, Mohist and Fajia schools, respectively. 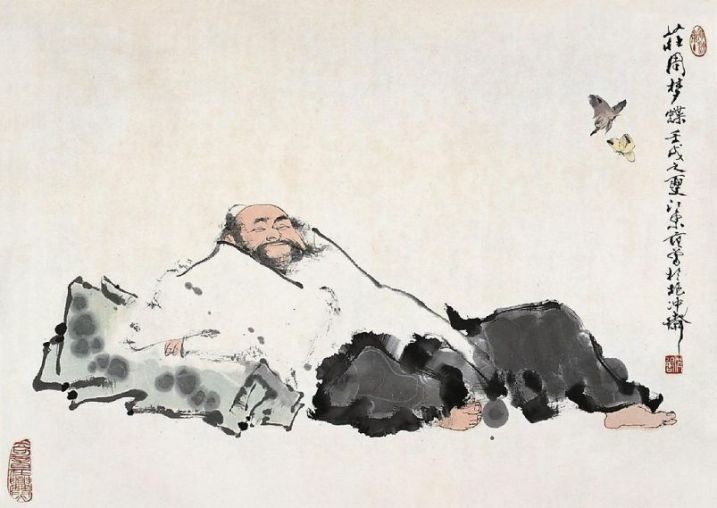 What Makes Chinese Philosophy Different than Western Philosophy? What if Human Nature is Bad? What if Humans Nature Tends to the Formation of Relationships? Reading: Confucius, The Analects, p.1-54. What if Human Nature is Human Nature is Good? Human Nature is Like Water” (6A2). What If If Human Desires Conflict? Reading: Xunzi. Selections from The Xunzi, p.347-294. What if Society Is the Problem? Reading: Zhunagzi, “The Inner Chapters,” p.203-246. How are We To Act If Not According to Proscribed Norms? Chinese philosophy at National Taiwan University (NTU). How Can We Discover the Truth Without Distorting It? Reading: Laozi, The Daodejing, p.157-202. Martial Arts in the United States). What is the Chinese Conception of Nature and the World? Robin Weiss received her Ph.D. from DePaul University, and taught most recently at Mount Allison University in Canada, where she first began teaching Chinese philosophy, alongside ancient Greek philosophy. She specializes in ancient Greek and Roman Philosophy, and in Roman Stoicism in particular, where it relates to the connection between thought and action. She believes that Chinese philosophy can shed new light on these questions, and has, for this reason, increasingly incorporated Chinese philosophy into her courses at AUC. She is currently writing a book that explains the Stoics’ views on everything from pragmatism to utopianism, complicity to non-compliance, friendship to cosmopolitanism—and is doing her best to learn Chinese. حصلت روبن وايز على درجة الدكتوراة من جامعة دي بول، ودرست مؤخرًا في جامعة ماونت آليسون في كندا، حيث درست الفلسفة الصينية إلى جانب الفلسفة اليونانية القديمة ﻷول مرة. تخصصت في الفلسفة اليونانية والرومانية القديمة، وتحديدًا في الرواقية الرومانية، من حيث تعلقها في اﻹتصال بين الفكر والفعل. تؤمن وايز أن الفلسفة الصينية يمكن أن تلقي ضوءً على تلك اﻷسئلة، ولذلك تضمن بشكل متزايد الفلسفة الصينية في مساقاتها في الجامعة اﻷمريكية بالقاهرة. تعمل جاهدة على تعلم الصينية، بينما تؤلف حاليًا كتاب يشرح وجهة نظر الرواقيون حول كل شيء من الفلسفة الزرائعية/ البراجماتية، والمثالية اليوتوبية، والصداقة، والكوزموبوليتانية.